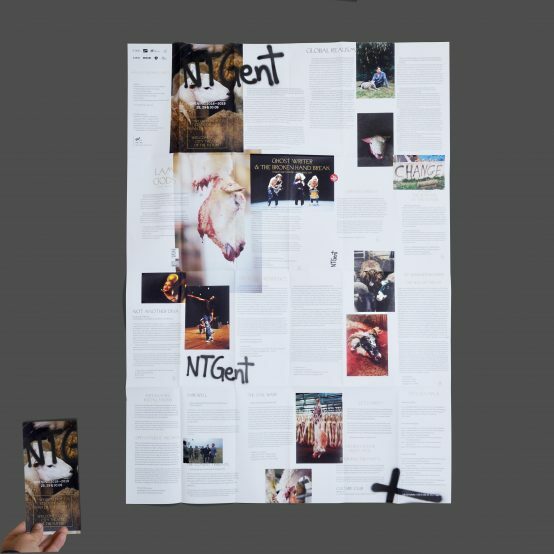 The visual profile for NTGent is inspired by artistic director Milo Rau’s vision of a new theatre for the future. 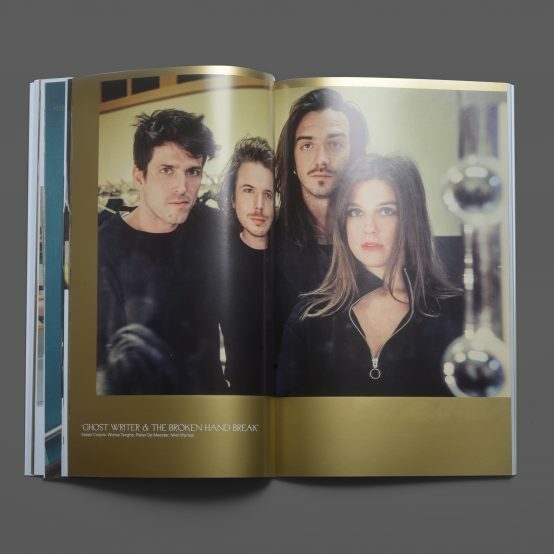 The first programme of the new season documents the slaughter of a lamb, representing the theatre’s opening play “Lam Gods” in which citizens from the city of Ghent are the actors representing individuals in Ghent’s famous medieval alterpiece from 1432 “Lam Gods” by the Van Eyck brothers. 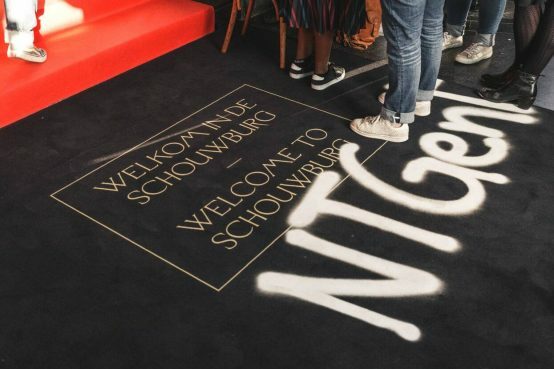 Visually, the choice of gold is inspired by the historical theatre building, whilst the graffiti inspired logo represents the voices of the streets – empowerment and democracy. 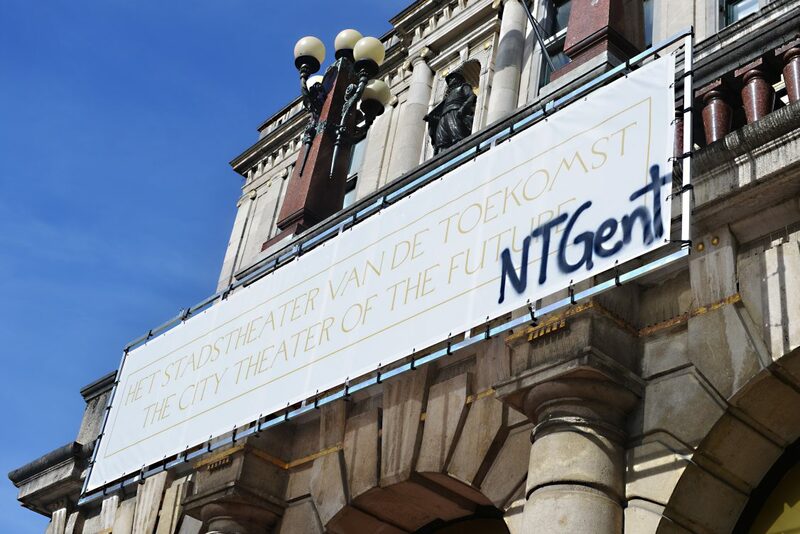 NTGent (or Nederlands Toneel Gent) was founded in 1965 as the city theatre of Ghent. 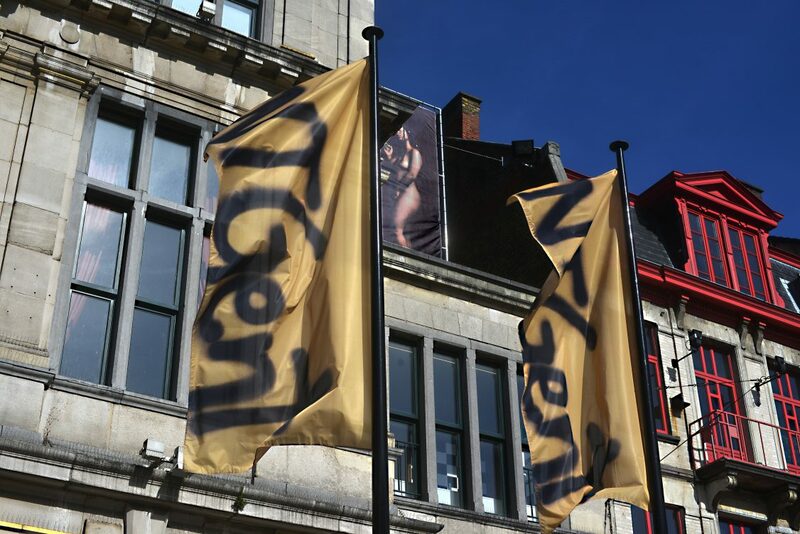 It presents its own theatre productions as well as guest productions, it is touring in Flanders, the Netherlands and internationally. 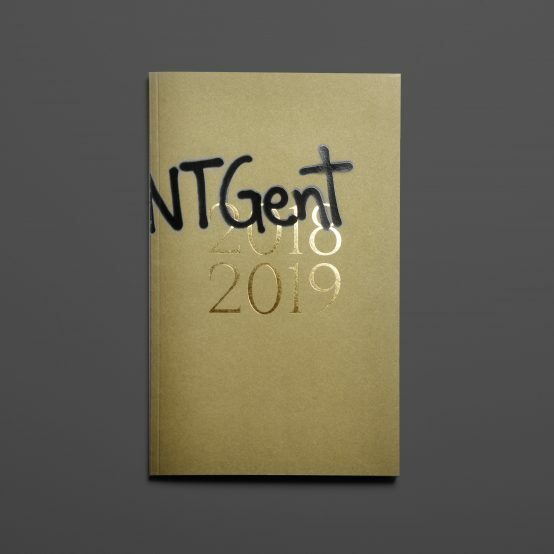 In Ghent, the city theatre company is performing in its three venues: the Royal Dutch Theatre (KNS) on Sint-Baafsplein (600 seats), Arca (200 seats) and Minnemeers (200 seats). 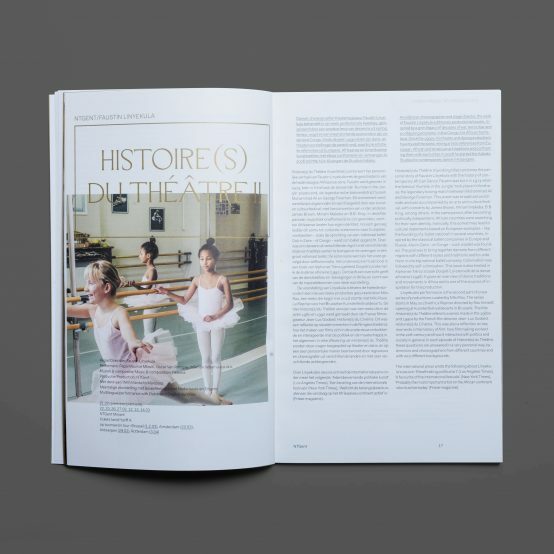 In addition, there are also partnerships with Vooruit and Minard.